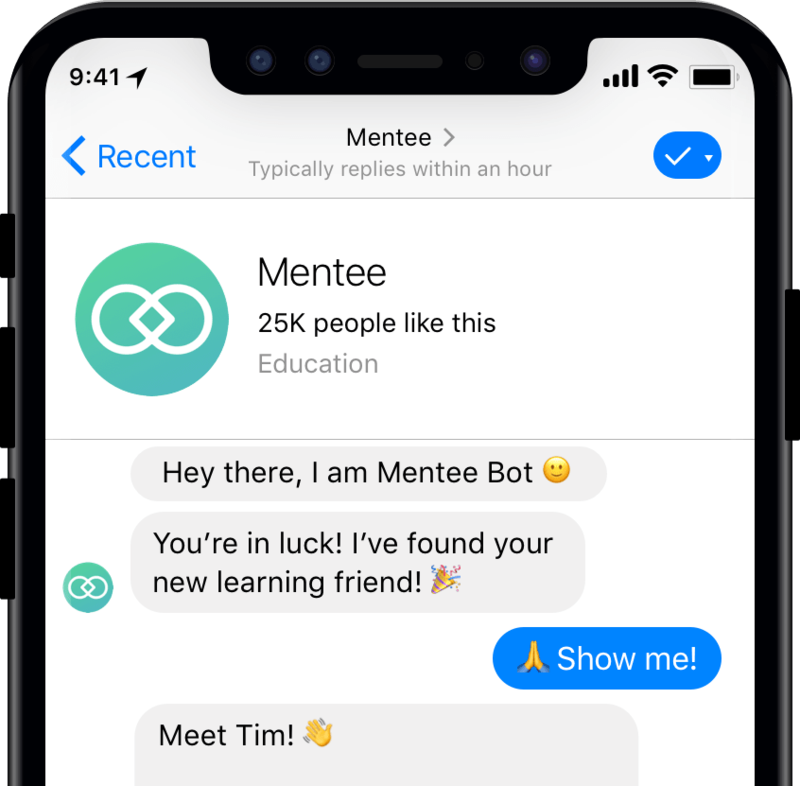 Find your new learning friend in less than 5 minutes with Mentee bot and learn amazing stuff from each other. If you could learn anything — What would it be? Psst... It's free. Pinky swear!